It is the summer of 839. Brave and beautiful Brynn Dharielle sets out on a daring mission to free her beloved homeland from tyrannical rule. 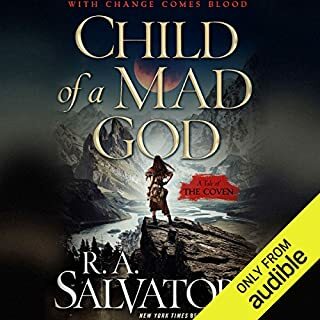 But she cannot imagine the depth of chaos, corruption, and betrayal that seethes amid a ruthless sect of warrior priests, led and manipulated by an evil chieftain who conceals a dark age-old secret. For Brynn and her trusted elven companion, the way to Behren turns into a fierce and illuminating voyage beneath the Belt-and-Buckle mountains. And while they face many dangers, the knowledge they acquire will have profound implications for the future of the elven valley, a land shaped by the plotting of a queen desperate to hold on to her magic. Meanwhile, by the time Brynn reaches the land where she once saw her parents murdered, the seeds of revolution are already flourishing. For a courageous young woman and her elven mentor, the first salvo of a sweeping battle has begun - one that will threaten to destroy the heart and soul of their world. 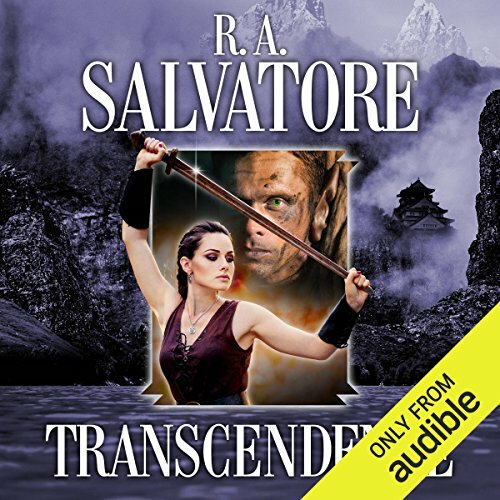 The eagerly anticipated new novel in R. A. Salvatore's Second DemonWars saga, Transcendence is an extraordinary adventure that introduces a remarkable new hero - and explores the mysteries of enlightenment and the art of war in a dazzling epic of the imagination. 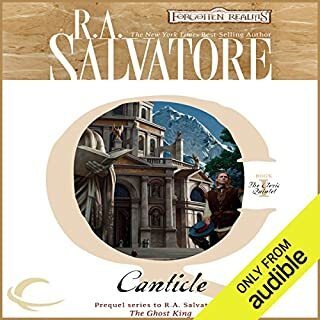 ©2002 R. A. Salvatore (P)2016 Audible, Inc.
Another remarkable chapter in the saga series. 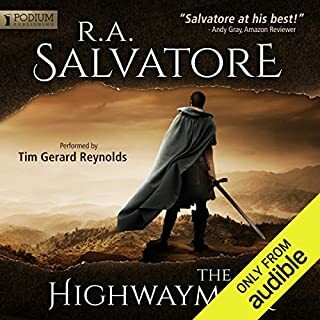 R A Salvatore crafts another epic story worthy of the bards of old. He now expands his cornucopia of characters to include dark elves, undead, far eastern type mystics and a dragon set in a region of middle eastern type environment with the antagonists being, what else, fanatical religious leaders and superb warriors. Sure, it's all fun and games until the dragon gets shot down but Brynn is not without her own offensive talents including a cunning strategic mind, a healing Powerie beret and a mean blazing sword. I have admit that the section where the mystic, severely wounded like an over-filled pin cushion somehow comes back to continue the fight is a bit over the top, reminding me of old westerns where the white hat cowboy is shot many time but still soldiers on. Still, a good read and an even better listen thanks to the excellent performance by Tim Gerard Reynolds. 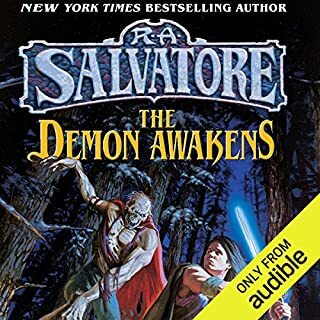 The best book out of the Demon War Saga by far! 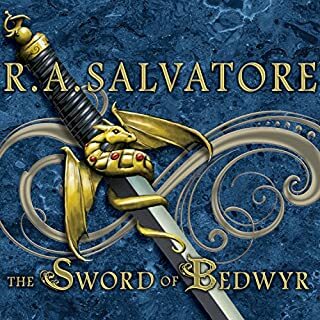 As a huge fan of R A Salvatore, I did not realize how good this series was and have just discovered it. 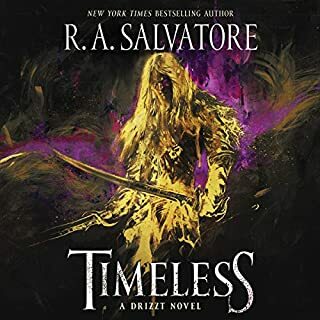 I have enjoyed this series more than his Forgotten Realms series. The political intrigue, character development and as always, the most legendary of fight scenes! loved this book!!!! when down and out its great to get lost in the maelstrom!!!!! Dragons , elfs, humans and Great tales !!!! what more can you ask for!!!!!! long live the Dragon! This book was a nice change of pace for the series! I thought that the previous two were a little bland and feared that there was no 'fight' left in the saga. This book proved me wrong.